Call Maple Grange is a superb new development of 2 bedroom Shared Ownership apartments. These homes, with spacious, bright living spaces are set in the much sought after town of Westerham, within strolling distance of the town centre. 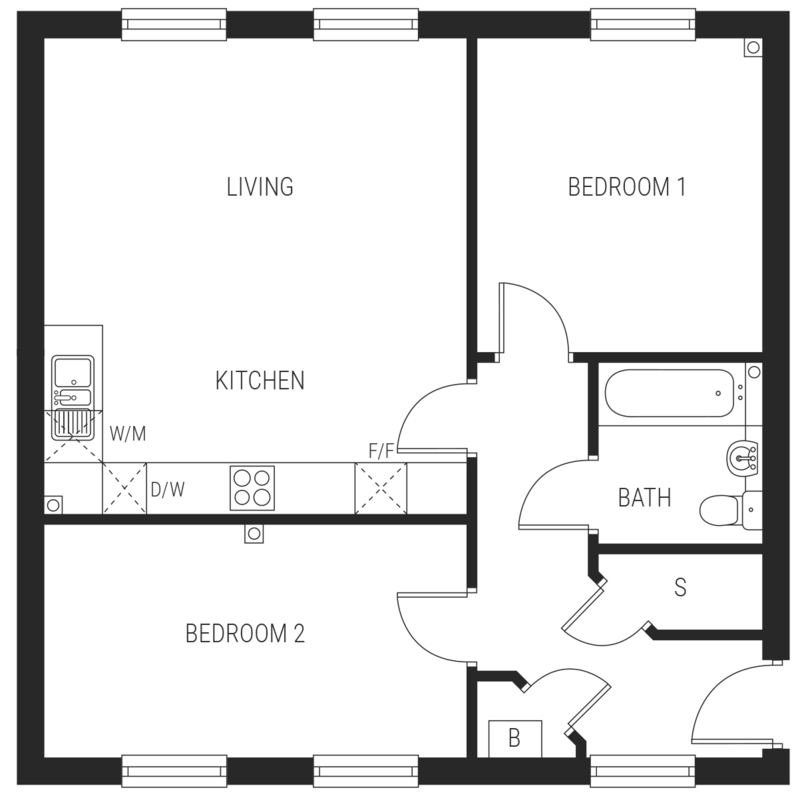 2 Bedroom Apartment available through Shared Ownership for £85,000 (25% of £340,000). Applications welcomed from all including those employed by the Ministry of Defence/Surviving Partner, from any UK region. Westerham is situated on the River Darent and enjoys a wide range of independent shops, cafés, historic pubs and restaurants. Driving - The development is only 22 miles from central London and the M25 is close by giving access to the wider motorway network. Rail - Commuters can travel by train into central London from either Sevenoaks or Oxted. Maple Grange is perfectly placed for enjoying the breathtaking beauty of the local countryside and picturesque villages ideal for cycling, walking and horse riding. The area boasts some excellent schools and the town has a great community spirit with many activities and clubs for all ages. Past residents, Sir Winston Churchill and General James Wolfe are both celebrated within the town. Nearby Chartwell, Churchill’s country retreat and Quebec House, Wolfe’s childhood home are always popular with visitors. *When using Hyde's recommend solicitor. Legal fee offer is plot specific. For more information call our sales team. Property descriptions and related information displayed on this page, with the exclusion of Running Costs data, are marketing materials provided by Hyde New Homes - Maple Grange, and do not constitute property particulars. Please contact Hyde New Homes - Maple Grange for full details and further information. The Running Costs data displayed on this page are provided by SmartNewHomes to give an indication of potential running costs based on various data sources. SmartNewHomes does not warrant or accept any responsibility for the accuracy or completeness of the property descriptions, related information or Running Costs data provided here.